It just so happens that I have many friends in the bicycle industry and one very close friend in the industry who is very generous. My friend Trevor gave me a Kona Sutra frame to build up a commuter, mainly for getting back and forth from work and getting around town. 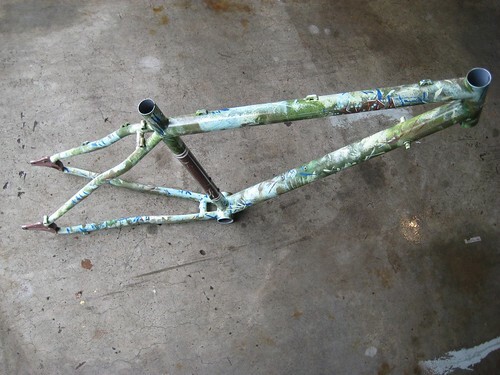 I decided that I wanted to custom paint the frame before building up the bike, so I had the stock paint removed by a local sand blaster and then primed the frame with U-Pol’s ACID#8™: Acid Etch Primer. Being restricted to an extremely tight budget I chose to paint the frame with some old water-based acrylics from a local craft store that I had laying around, not something you would typically use to paint metal with and for long term use. I experimented with some sponges to get some unique effects and decided I liked where it was going and continued to wing it and add more paint. 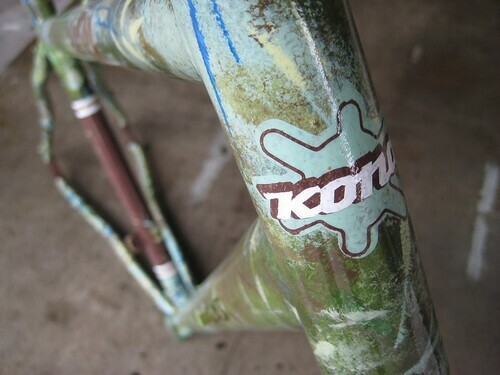 When I finally decided I was finish painting the frame, I called up the manufacturer of the paint to see what type of clear coat they would suggest using on the frame. 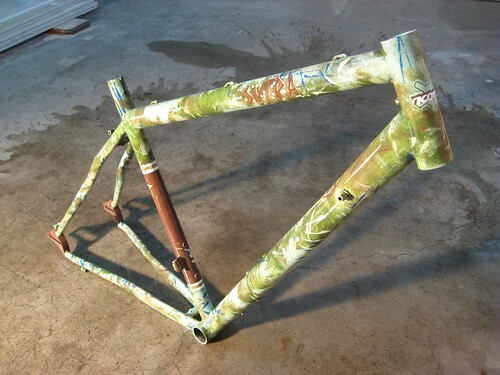 the lady I had spoken with shot me down and made it clear that I had made a big mistake using that paint for painting my bike frame and assured me it would not adhere and would ruin the paint etc. Understanding that she is versed in some script on her computer and instructed to advice people against using their paints for other uses they were not intended for, I explained to her that this is how it was already and before removing the paint I wanted to try and clear coat it just to see for myself that it would not work. 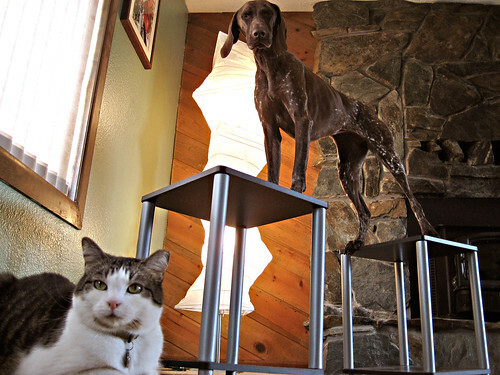 Again she told me no and denied any clear coat and rushed me off the phone. I decided to go with clear coat in an aerosol can made by the same manufacturer as the primer, U-POL and ended up coating the frame with the entire 450ml can of U-POL CLEAR#1™: High Gloss Clear Coat, which was roughly 3 coats. To be honest it could have used a bit more to coat the entire frame with a thick layer of gloss. It just so happens that this clear coat was compatible with water based paints and gave me no trouble. It adhered great, kept the colors sharp and vibrant, no running or distortion of the paint whatsoever. This just goes to show that you should not always believe what everyone tells you and experimenting on your own does in fact pay off sometimes. Trial and error is how you learn.